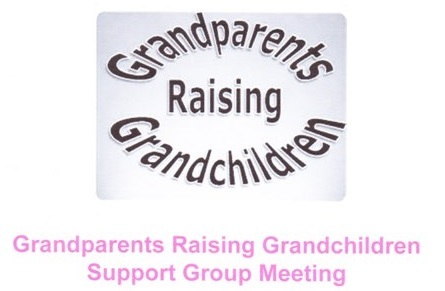 GALION — Galion City Schools is launching a new support group in the community for grandparents raising children who are in preschool through 12th grade. The first meetings are scheduled from 1-2:30 p.m. and 6-7:30 p.m. at St. Paul United Methodist Church this Thursday, Nov. 16. The purpose of the group is to provide a safe and supportive place for grandparents to gather and support and help one another as they go through this life-changing experience. Grandparents are encouraged to join the support group prior to the first meeting Nov. 16, as well as any time after the first meeting date. Please contact Carly George at 419-468-3676 , ext. 14005, to join or to learn more about the program. George made it a goal for the 2017-18 school year to connect with those grandparents to make sure they know they are supported, but more importantly allow them to discuss their lives with people who are in similar situations. She received permission from the building principals, as well as overwhelming support from director of academics Paul Wheeler and superintendent Jim Grubbs, to offer this program to Galion families. George will lead the group, and include other community members to provide information grandparents have requested. The district’s technology department is an example of a source of information that grandparents have requested from through questions they have posed.